The best way to begin training Summoning is to complete the Wolf Whistle quest which levels the player up to level 4 Summoning and gives enough gold charms to get to level 16. The quest will teach you how to craft Summoning pouches. The basic idea is that every Summoning pouch requires a pouch, some Spirit Shards, a Tertiary Ingredient, and a Charm. Spirit shards are 25 coins each and are easily bought in bulk from Pikkupstix. Tertiary ingredients are items usually related to the familiar being crafted - for example, a Steel Titan uses a Steel Platebody as its tertiary ingredient. Charms are collected through various activities and each familiar needs one of these to be created. Assuming money isn't a massive issue (check out my money making guide or my flipping guide if it is), the biggest bottleneck in leveling up Summoning is collecting charms. The next section of the guide shows you the best ways to collect charms no matter what your levels are! Charms are the most vital part of the Summoning skill - training requires charms no matter what and the slowest part of training is often collecting charms. There are several different ways to collect charms. Training through Slayer is a very efficient way to train as getting 99 Slayer should give enough charms for 99 Summoning. Unfortunately Summoning is a very useful skill to have during Slayer so some players may find this undesirable. If you are planning on maxing efficiently it would be wise to get Slayer then Summoning. If you do not want to do Slayer then the next best way to get charms is camping at specific monsters. 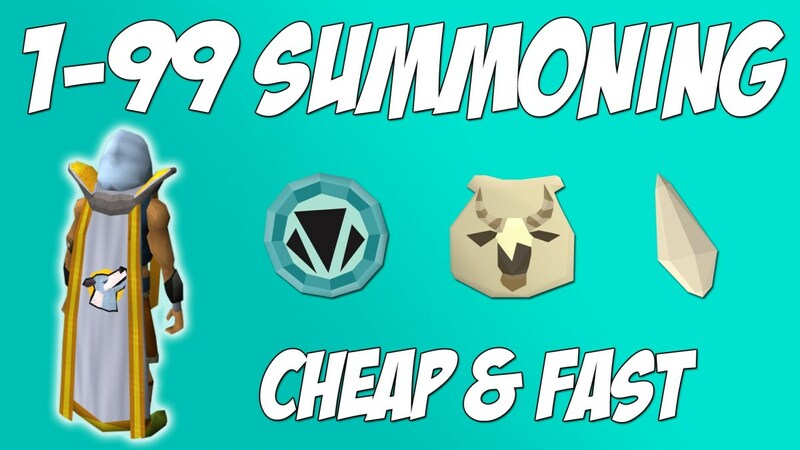 Going for 99 Summoning the player should focus on getting as many crimson and blue charms as possible as these are the best charms for Summoning experience. Here is a long list of monsters and the charms they drop! Require spiked gauntlets to kill and can be found in the Taverley Slayer Dungeon. These only have 150 lifepoints so are easy to kill for even low leveled players. Can be found north of Relleka. The player can use a cannon to make large numbers of these aggressive. They are AFKable when doing so however every 5 minutes you must run south and then back to re-aggro them. Have low defence and are slow to attack. They can be found north west of Ardougne. These are good for low leveled players and can be found east of Lumbridge. These are the best monsters for gold charms, they can be killed most efficiently in the Chaos Tunnels but can also be found in the Waterbirth Island Dungeon. These can be killed in the Chaos Tunnels, they are weak to bolts and drop infernal ashes which can be used to profit or to level up Prayer. These are considered the best way to train Summoning. Although the drop rates seem low you can kill a very large number of these per hour using Ice Barrage/Burst. They can give up to 200 crimson charms per hour. Another great way to gain crimson charms, they are best killed in the Chaos Tunnels and should be killed with a crossbow or magic weapon. You can gain around 225 crimson charms per hour. Requires 81 Slayer and can be found in the Ascension Dungeon. Can also profit around 2m per hour as they drop Ascension Keystones. Bork can be killed once per 24 hours and depending on equipment can give the charms shows. Wearing a Ring of Wealth, completing the Varrock Hard Tasks, and completing the Mighty Fall quest give bonuses to the charms dropped and all three will give the max charms. Quite hard to kill but a very good drop rate of high leveled charms. Again they take quite long to kill but have a very good drop rate. These should be killed with a dwarf multicannon in the Forinthry Dungeon and Prayer urns should be used to get prayer experience as well. These pretty much only drop gold charms and are very AFK as they are aggressive. They can be safe-spotted and using Guthan's armour will give a lot of charms with very little effort. These are easy to kill at level 12, note that the level 8 versions do not drop charms. Requires high stats and can profit around 500k per hour as well. Not desirable as there are better ways of making money. Requires high stats and can profit 800k per hour. Again not desirable. They are AFKable as they are aggresive and drop a good amount of blue charms. These are the only F2P monsters which drop charms and will only drop gold charm. 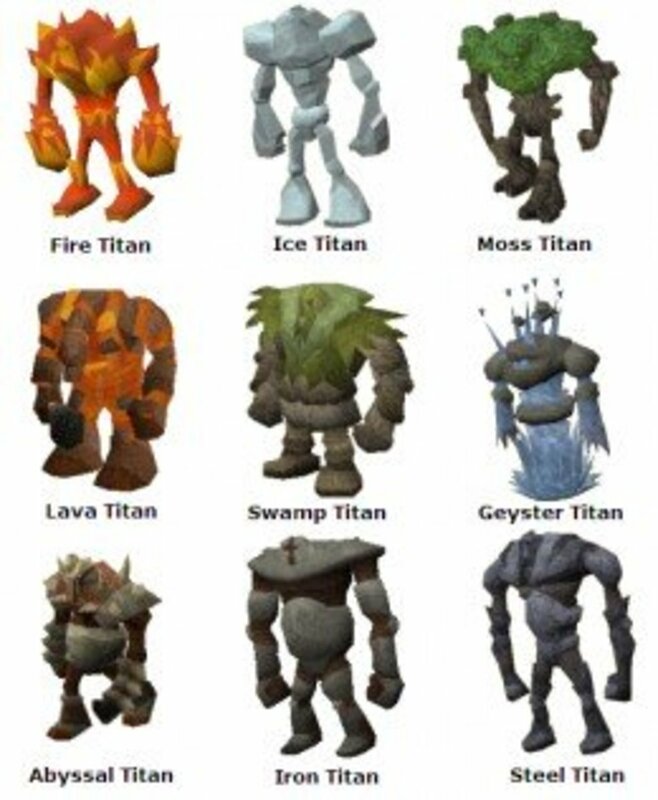 The different Summoning Titans available. Thieving - Pickpocketing Amlodd workers in the Elf City can give all four charms commonly but requires 94 Thieving and the Plague's End quest. This section will discuss which pouches to make to maximize the experience per charm. Note that it is best to try and save the better charms for higher levels, ie use up all your gold charms before you use your green etc. Your main priority assuming money isn't an issue is to craft the highest level pouches available with the lowest level charms you have available (unless you have a very large number of crimson/blue charms). If money is an issue it is acceptable to use lower leveled pouches until a cheaper alternative becomes available. You should stop using gold charms at around level 66 as it becomes inefficient. You should stop using green charms at around level 80 as it becomes inefficient. At higher levels it can be efficient (yet expensive) to transmute lower leveled charms into higher ones, this is useful to get more crimson/blue charms if you have an abundance of gold/green ones. Waterfiends at the Ancient Cavern. There are several different ways to make pouches. The classic method of banking at Taverley and running to Pikkupstix is outdated and there are more efficient ways to train Summoning. At level 57 Summoning you can use a spirit kyatt pouch to teleport near the Piscatoris Summoning obelisk and bank using rings of duelling. Using bank presets will speed up your banking time and thus improve your Summoning experience per hour. Using the classic method and using a beast of burden can be an improvement on the spirit kyatt method. Using the classic method in the Amlodd district of Prifddinas is much quicker than in Taverley. What is your Summoning level? 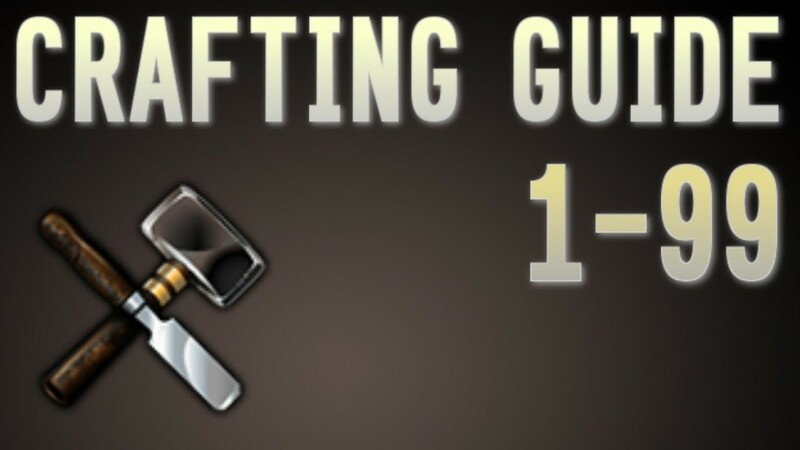 There are a few things you can use to level up faster and gain more experience/save more money! Firstly, killing monsters can drop Spirit Gems, which can be worn in the pocket slot to give a small chance of saving charms when crafting pouches. The Shaman's Outfit is a skilling outfit which can give a 6% bonus to Summoning experience if all 5 pieces are worn. Unfortunately this can only be won from Treasure Hunter. A Summoning Focus is an item which grants an extra 20% Summoning experience when making pouches. They are stackable and can be bought from the Grand Exchange for around 2k each. One is used for every pouch created so should only be used if the cost of making a pouch is over 5 times as much as the cost of the Focus. Once a week the Familiarization, Distraction, and Diversion can be played to grant triple charms for 40 minutes. This is the best time to kill monsters for charms obviously. Thank you for reading my guide! 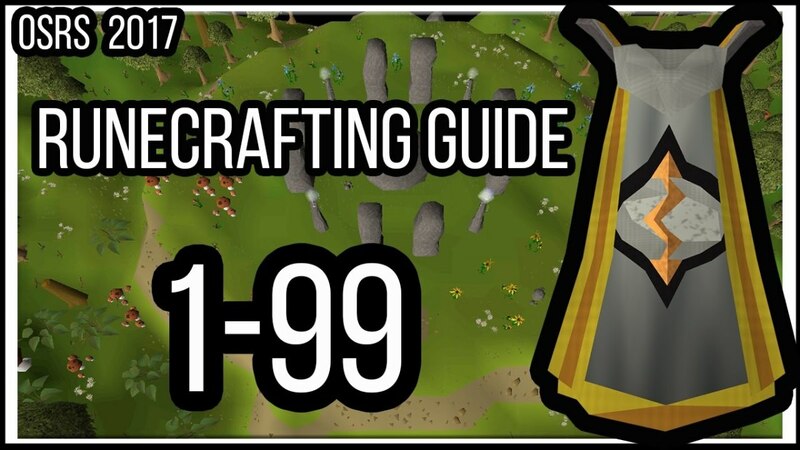 I hope this helps you achieve level 99 Summoning or even 120/200m experience! If you have any questions feel free to ask below and I will reply! 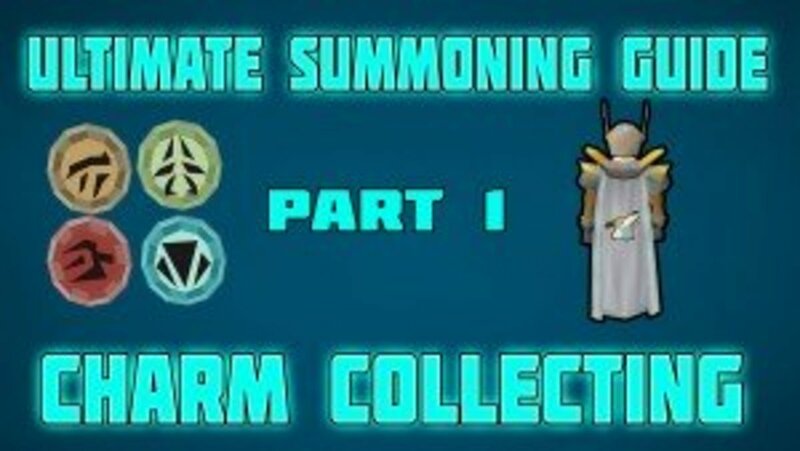 You should also add somewhere that summoning is a time related skill that can all be utilized quickly but takes a long time to collect. 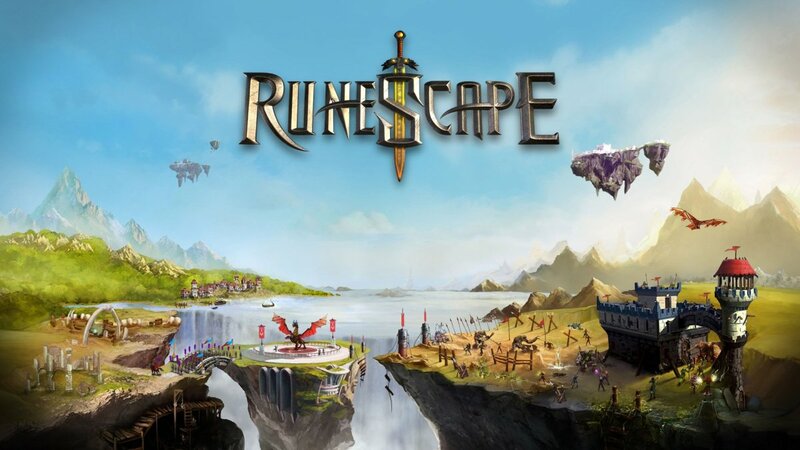 I suggest adding in somewhere that players other then ironmen can use Jagex's various double xp weekends to yield the most xp per charm possible.